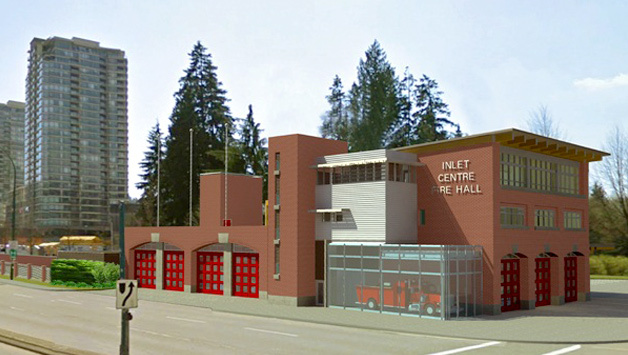 In order to meet the needs of a growing population, the construction of a new Fire Hall no. 1 in Port Moody has begun. It will include a new state of the art facility providing two sets of high bay parking areas, administration offices, dormitory facilities, on-call and training facilities and a vintage truck exhibit. The site is immediately adjacent to an environmentally sensitive wetland and has significant geotechnical challenges requiring careful planning and coordination. This is a post-disaster facility.